I'm not sure where I came across this book - browsing somewhere or other on the internet, I suppose. 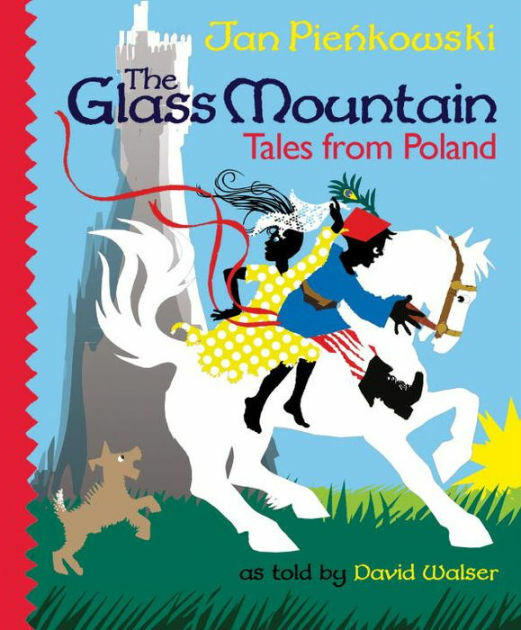 I noticed it partly because of the bright colours and unusual style of the cover art, and partly because I have two grandsons who are half Polish - so this seemed like a good fit. Folk tales are often pretty brutal. Think of Hansel and Gretel, abandoned orphans who save themselves by bundling a witch into an oven and lighting it - or all the suffering Gerda has to go through to save her friend, Kai, from the cruel Snow Queen. Many have been softened around the edges to suit sensibilities more delicate than those of their original audiences, but these stories have not: they're strong and fierce and told crisply and with gusto by David Walser. The first one, for instance, called The Fern Flower, is about a young man who enters the forest on Midsummer's Night to find a magical flower which will confer on him huge riches - provided he doesn't attempt to share them, and provided he finds it before dawn. The first two times he tries to find it - in the process missing out on all the fun everyone else is having on Midsummer's Eve - he fails. The third time he succeeds, and becomes rich beyond his wildest dreams. But, like Midas, untold wealth results in loneliness. Eventually, he goes to visit his mother - ironically, she was the one who told him about the flower - and finds her in poverty. He is about to go in and give her some money, but stops when he realises that this would negate the terms of the deal. He goes back again a few weeks later: now she is ill - but he weighs things up and makes the same decision. He returns a third time - and she is dead. Bogdan turned away. He cursed himself with a bitter oath. As he did so, the earth opened in front of him and swallowed both him and the fern flower which he still kept in his tunic next to his heart. Jolly stuff, eh? But I guess that when these stories were first told, the world the storytellers lived in was a harsh one. 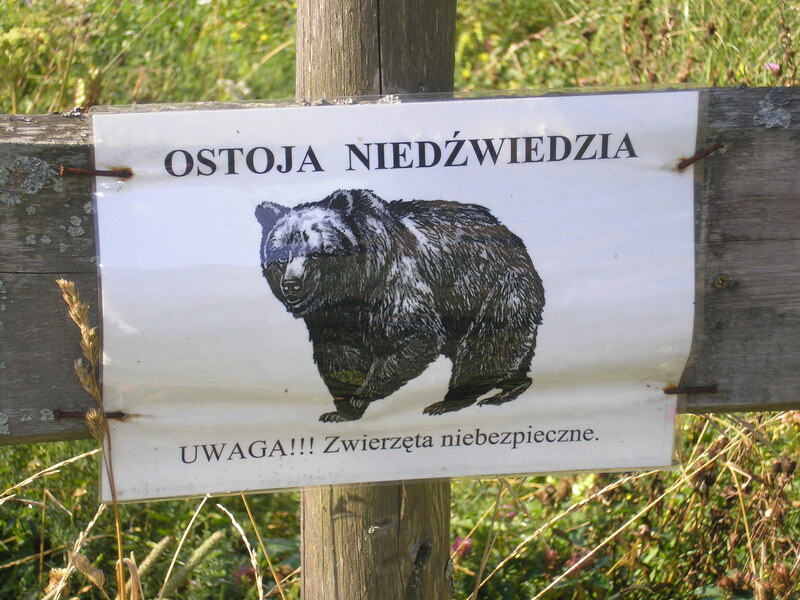 Some years ago, we were in the Carpathians, in southern Poland. We walked through a forest where there were signs warning travellers to beware of bears and wolves. At one point I had fallen behind - I usually do on a walk - and looking round at the trees which stretched as far as the eye could see in every direction, I felt disorientated. Suddenly, the world of 'fairy' stories, where the forest is a place of danger, absolutely made sense; the dangers perceived, the warnings given, reflected everyday life. Children needed to be warned - and in the long dark evenings, everyone needed dramatic stories which would keep them entertained and make them gasp in delicious fear as the candle light flickered and made huge shadows on the wall. These stories still do that. But there's one at the beginning - a true one - which I found more fascinating than all the rest. It's a glimpse into the childhood of Jan Pienkowski, the artist. The pictures, with their solid blocks of bold colour and sometimes slightly ragged outlines, are collages made of torn paper, and Pienkowski explains that paper cut-outs are a form of Polish folk-art, which he learned as a small child during the war - first from a countrywoman who would come and make 'curtains' out of white paper cut-outs which she would then glue to the windows - and later from a soldier during the Warsaw Rising, who cut out paper animals to amuse the children as they sheltered in cellars from German bombs. I don't know if Pienkowski has written a longer memoir, but if he hasn't, I wish he would!